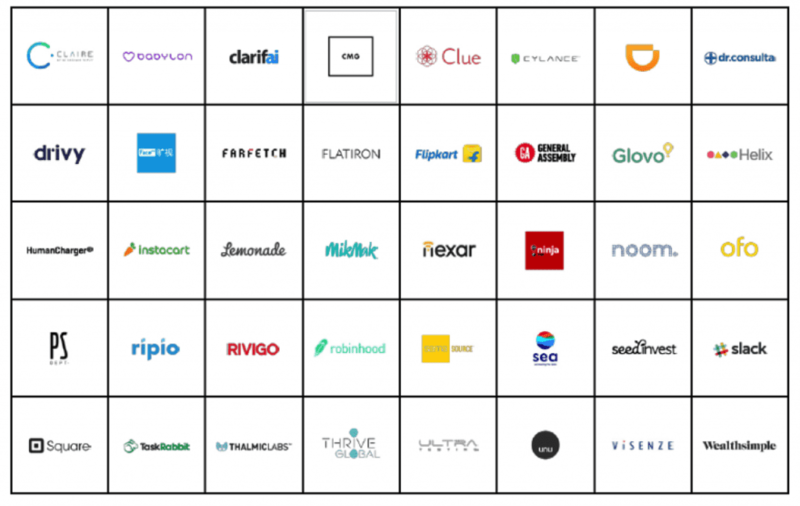 WHAT CAN YOU LEARN FROM THE TOP BREAKTHROUGH BRANDS? Branding agency Interbrand has released its 2017 report into the Breakthrough Brands of the year. The report is dedicated to ‘discovering and celebrating the next generation of brands’. Success is defined in terms of growth but, as the report says, ‘it’s not just about business or bottom-line growth, it’s about everything they help flourish and accelerate’. Interbrand believes that it’s at the intersection of growing businesses and great brands that standout growth is created. Who are the breakthrough brands? One thing jumps out from the list of companies. You are likely to have heard of very few of them. In the words of the report, they are all ‘startups, upstarts, challengers, problem solvers, innovators, and category creators’. They are largely evolving from start-up phase to become fully-formed businesses. One theme in the report is how new businesses can maintain the clarity of purpose and driving passion that propelled them at the beginning. It includes some tips on how you can do this. It can be a challenge to move from a start-up, where your workspace might be a coffee shop, to a fully-fledged business with processes, structure charts and hierarchies. Your business mindset needs to shift to accommodate this change. Successful firms will be the ones who don’t lose sight of their initial purpose and brand personality during this growth phase. One thing that’s clear from the list above – there are few financial services or other regulated businesses in there. If you are regulated by the Financial Conduct Authority, or another regulatory body like the Prudential Regulation Authority or Solicitors’ Regulation Authority – these clear structures and processes will need to be there from day 1 to ensure you meet your regulator’s compliance requirements. In the start, as CEO of a small business, all the relationships and decisions are yours. As the business grows, you lose this ‘hands on’ role. Keeping everyone aligned with your values and purpose can be tricky when you’re not in sole charge. The secret lies in ensuring the CEO evangelises the firm’s brand and ethos. A top-down approach to culture is vital, as this is the way you’ll preserve the company’s core values as it grows. Growth means an exponential increase in the amount of detail you have to deal with. Customer requirements; investor demands; regulatory compliance obligations. Keeping the simplicity of your original idea front-of-mind means that you won’t lose sight of your goals as your responsibilities increase. How is a breakthrough brand measured? The report lists five factors that are key to building a brand and growing a business. What these companies offer isn’t necessarily unique. But the way they deliver their proposition and the brand experience their customers have, relative to their competitors, is crucial to their success. A clear purpose, and clarity around your target audience and their concerns, are essential components of a breakthrough brand. ‘Does this fit with my brand values, mission and proposition?’ should be the question at the heart of all business decisions. This can be harder as businesses grow, but knowing how to identify the red flags that indicate problems with your corporate culture can help. You need to be where your audience is. This means continuous communications across a variety of touchpoints and channels. For regulated businesses, this requires a deep understanding of what makes a financial promotion compliant if you are to keep on the right side of your regulator. We’ve talked recently about how new competitors and even customers themselves are driving innovation and digital disruption. Staying relevant to your market is clearly key to keeping the upper hand in a competitive marketplace. If a brand doesn’t engage its customers and prospects, it won’t succeed. Whether it’s building engagement through targeted content marketing or via social strategies that encourage participation, engagement is vital. Nothing else matters if no-one is engaging with your brand. The list of breakthrough brands makes interesting reading – if only for the wealth of ‘wish I’d thought of that’ ideas, ranging from collaborative workspaces to businesses harnessing technology for healthcare research. For established brands – particularly those in tightly-regulated industries – the potential to emulate these start-ups may seem small. But there is much we can learn from their commitment to preserve their goals and values, and their ability to grow while retaining their initial integrity.